I have the best reason ever for not posting for the past few weeks. 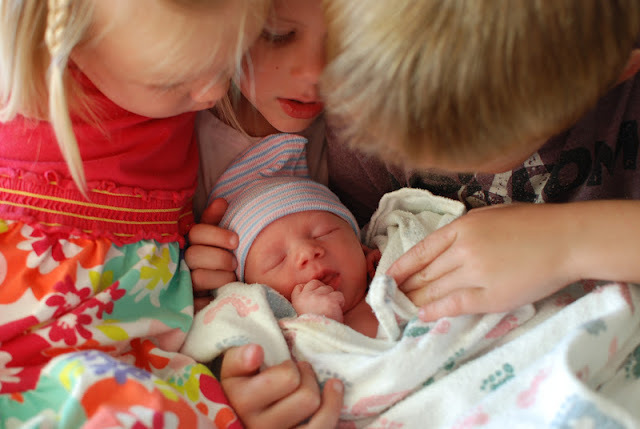 Little Lettie Jane (named after my Great Grandmother) joined our family. She’s a tiny thing weighing just 5 lbs. 7 oz. I was the lucky grandma that got to tend the older three children for a week while mom recovered. It took me a week to recover myself! After neglecting my garden for a week, I went out to see how high the weeds were. To my surprise my raspberries where ripe and ready for picking. They were just perfect for a batch of freezer jam. 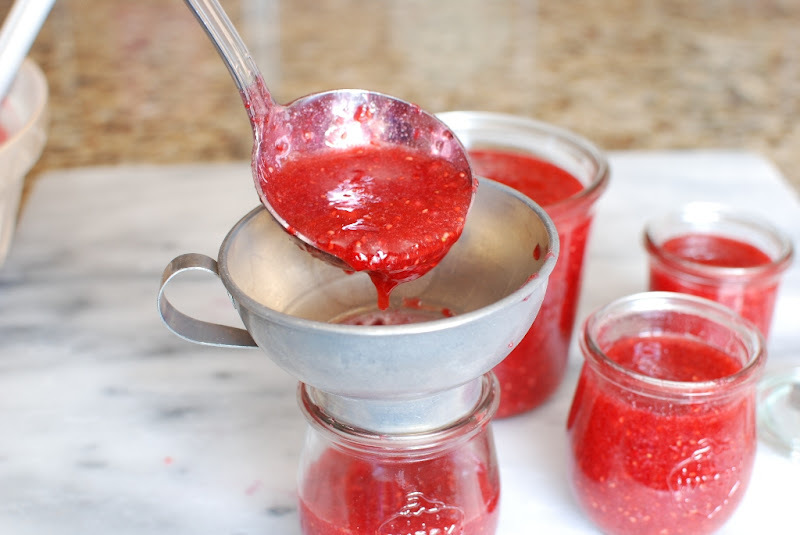 If you have never tried making homemade jam, this is the recipe you should try. 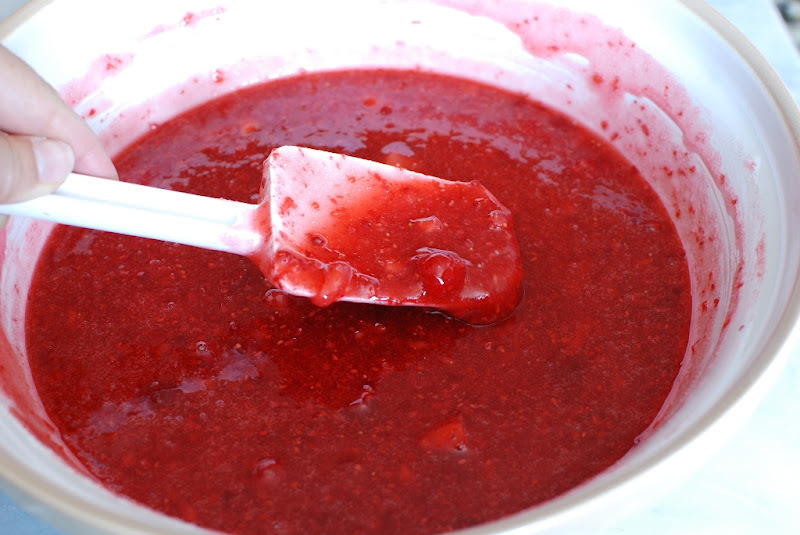 Homemade freezer jam is so quick and simple. It will last in your freezer for one year. It has a bright fresh flavor that is fabulous slathered over buttered toast. I pack my freezer full every year. 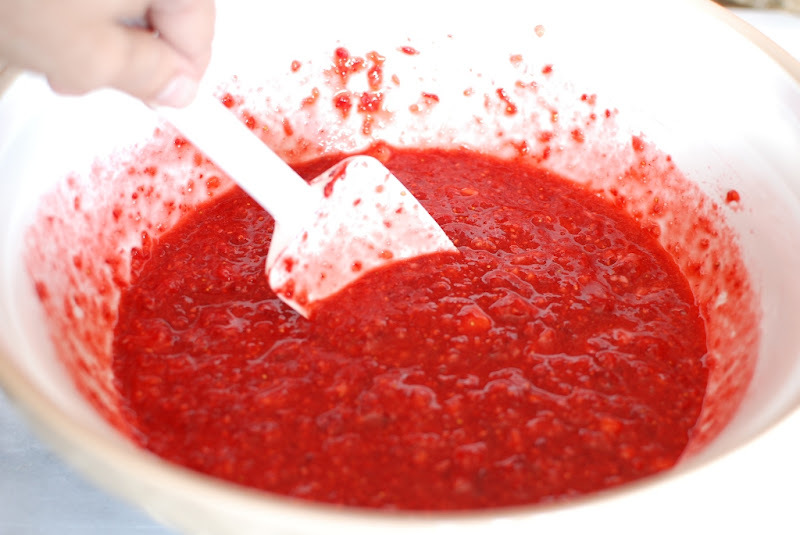 Let me give you some tips on making the most flavorful jam. 1. Choose bright red berries that are full of flavor. 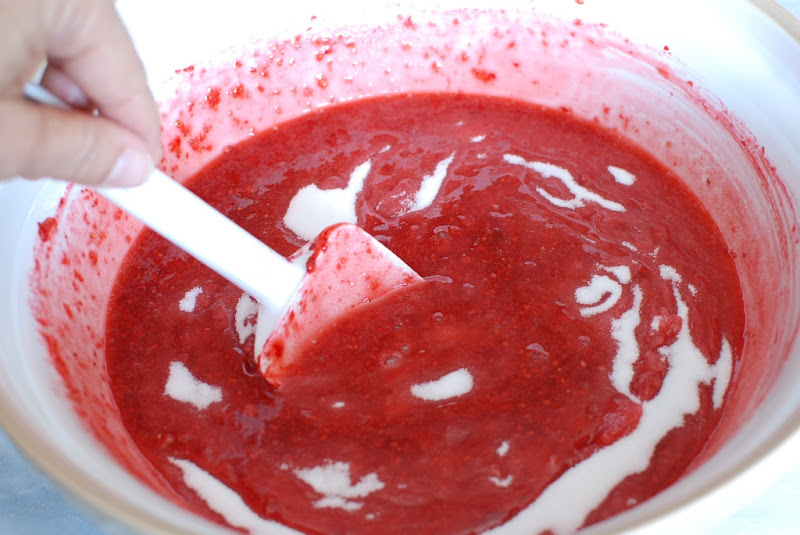 I like to mix raspberries and strawberries. Make sure the strawberries are completely red. No white spots or semi-red berries. Make sure the have great flavor. Costco may have the best prices but may be lacking in flavor. This is why I wait for the raspberries from my garden or wait until local berries are available at the farmers market. Remember “garbage in garbage out”. 2. Use only freshly squeezed lemon juice. You probably know how I feel about that bottled stuff. I still haven’t found a culinary use for it yet. 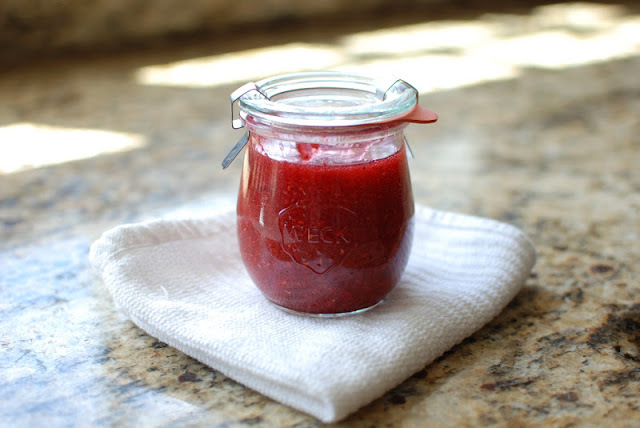 The bottles reconstituted juice has a strong flavor that will take over the flavor of your jam. 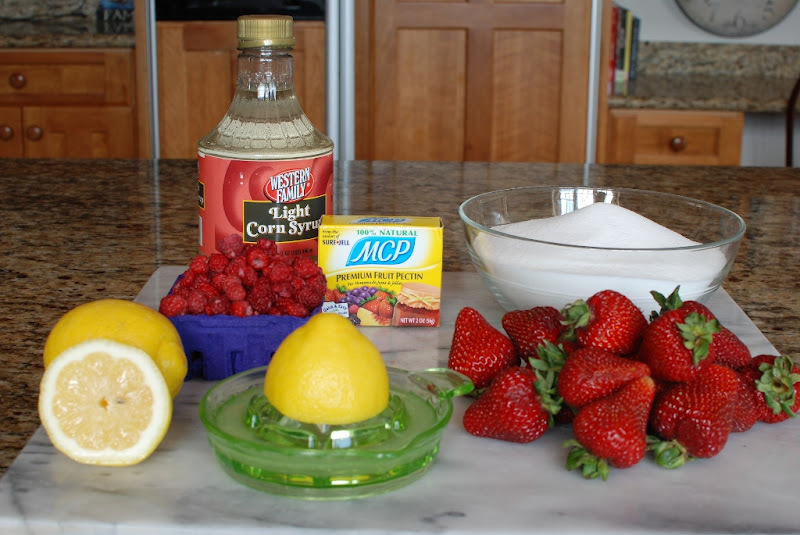 You want the lemon juice to brighten the flavors of the berries not over power them. 3. Read the instructions that come with the packaged pectin you are using to the “T”. Add every single grain of sugar the recipe calls for. If you want to reduce the amount of sugar in the jam, look for pectin that is specific for “reduced sugar”. 4. Brace yourself right now. There is a boat load of sugar in this recipe. That’s just the way it is. Accept it. 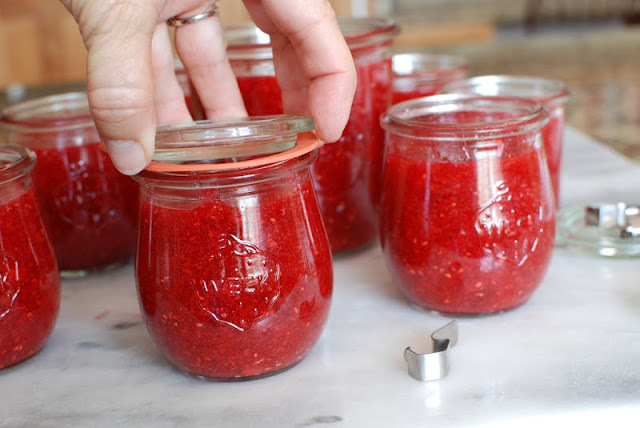 Clean washed jars with lids. You can use plastic containers if you wish. 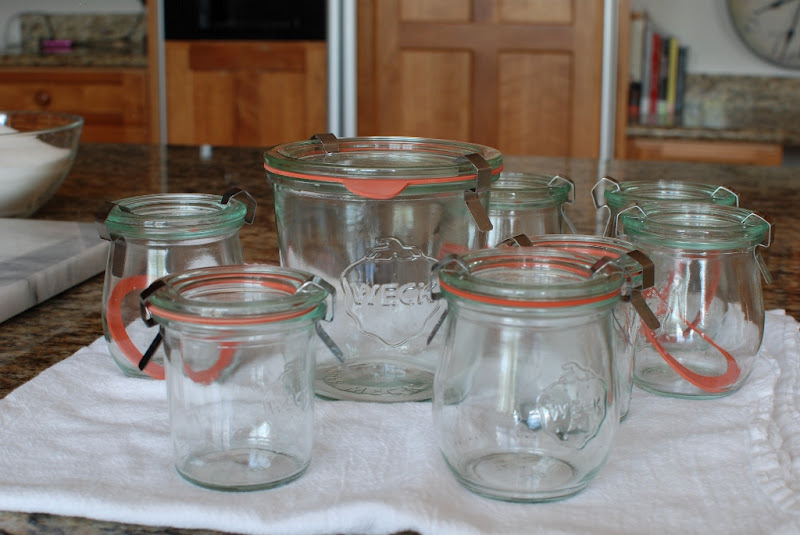 I have a few Weck jars that I purchased from Crate and Barrel. I like to have a few cute jars on had for gifts. A jar of jam and homemade bread are a great gift combo…I think. 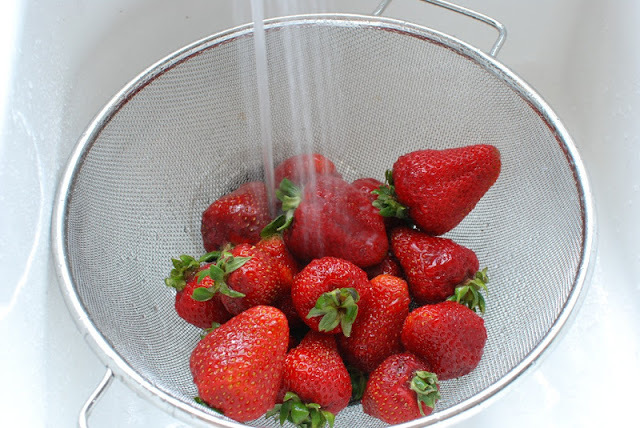 Start by washing your berries. 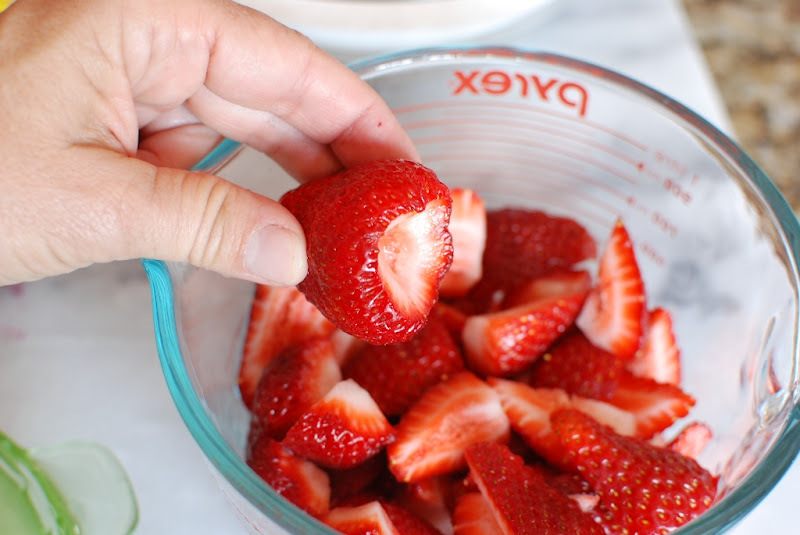 Remove the tops of the strawberries and slice. 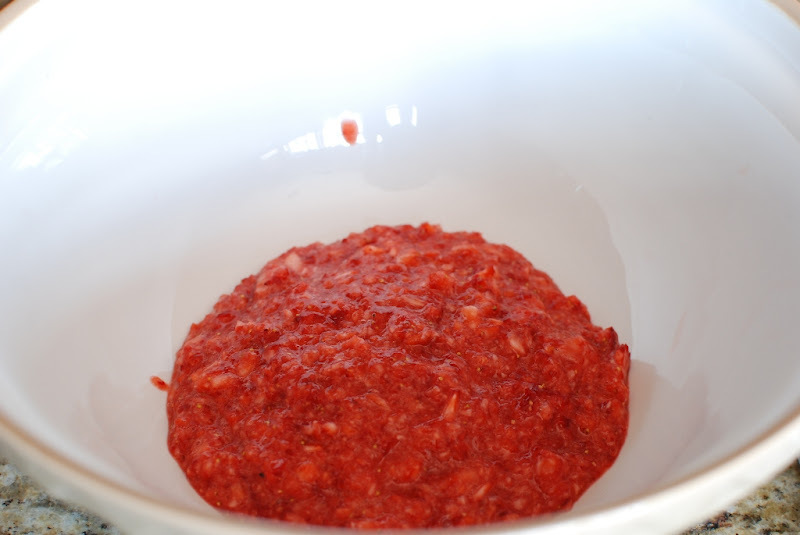 I like to give them a few quick pulses in the food processor. You can crush them using a potato masher if you would prefer. Make sure they measure 1 1/2 cups exactly. Pour into a large mixing bowl. Crush the raspberries. I’m using the food processor again. Measure exactly 1 3/4 cup. 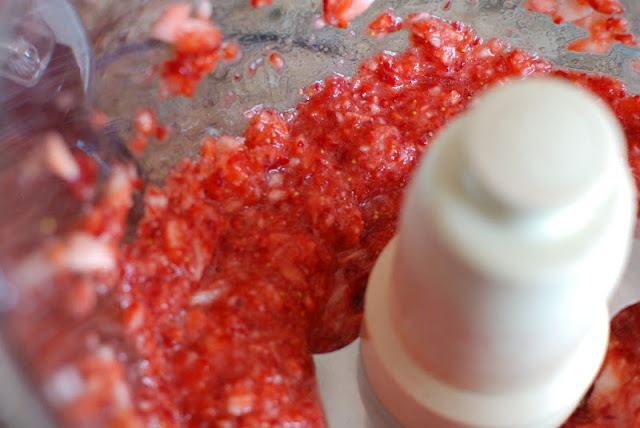 Add the the crush strawberries and stir together. DO THAT NOW! Add the freshly squeezed lemon juice that you extracted for a real live lemon that you cut in half and juiced. Sprinkle the pectic over the top of the fruit while stirring. Stir until the pectin is mixed in very well. THIS IS IMPORTANT! 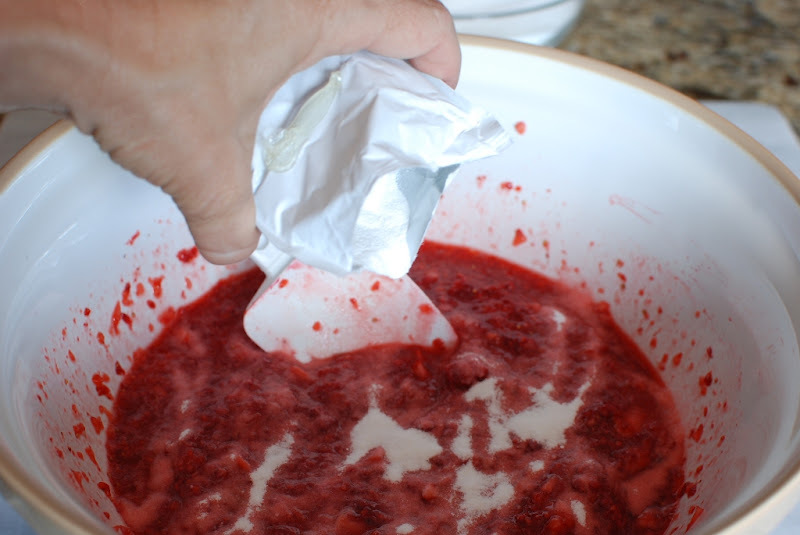 Let the mixture stand for 30 minutes stirring EVERY 5 minutes to dissolve pectin thoroughly. After 30 minutes, pour 1 cup corn syrup into fruit mixture. This prevents sugar crystallization during freezer storage. It’s best to measure the sugar into a bowl. This way you don’t forget how many cups of sugar you have added…done that. Stir constantly until sugar is completely dissolved and no longer grainy. 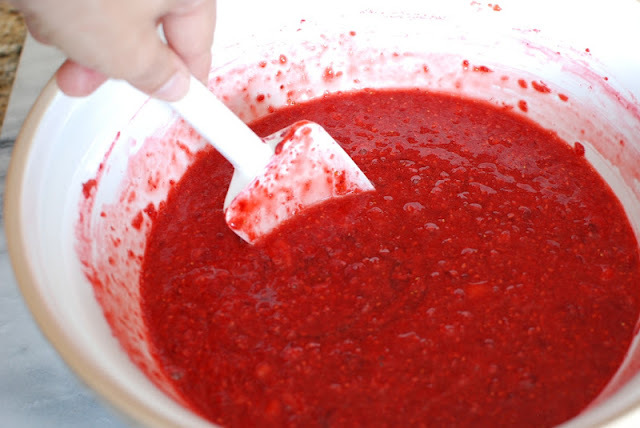 As you stir the jam will begin to thicken. Don’t worry that the jam isn’t completely set. It will continue to set while setting 24 hours. Ladle into your jars or containers. Leaving 1/2-inch space at top for expansion during freezing. You will need to let the jam stand at room temperature for 24 hours until set. 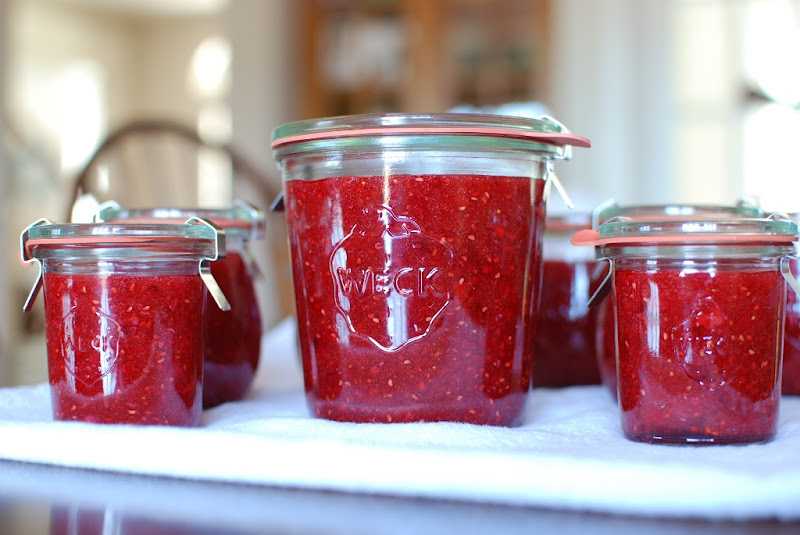 After 24 hours you can refrigerate your jam for up to 3 weeks or freeze for up to one year. This recipe makes 7 cups of jam. 1. Wash and rinse containers with tight fitting lids. 2. 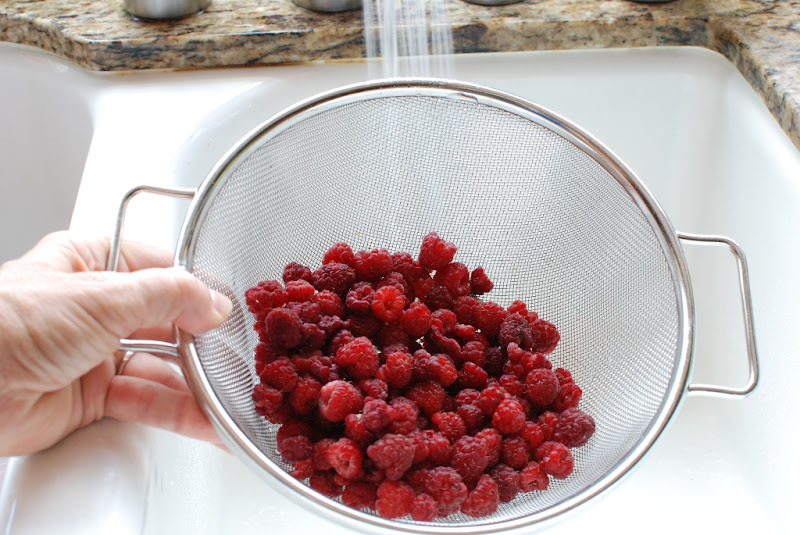 Prepare fruit by rinsing and crushing berries. 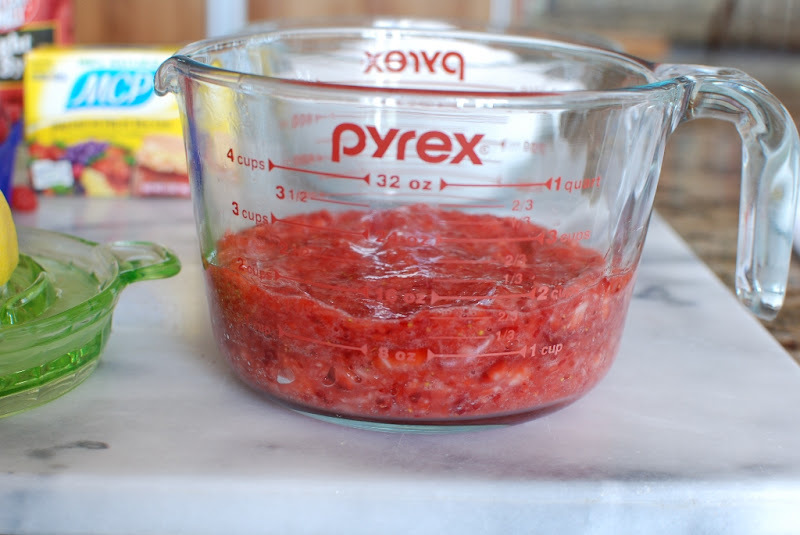 Measure exactly and place in a large mixing bowl. 3. Stir in lemon juice. 4. 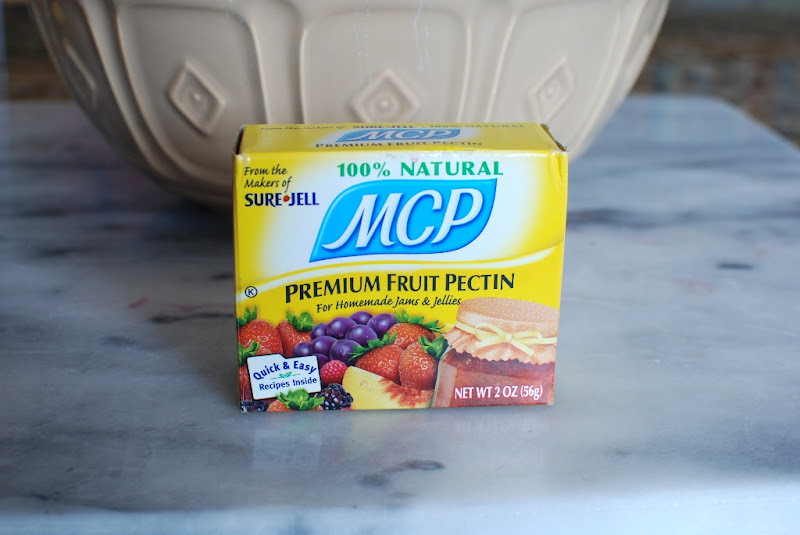 Gradually stir 1 box of MCP pectin into fruit. Mix thoroughly. Set aside 30 minutes, stirring every 5 minutes to dissolve pectin thoroughly. 5. Measure exact amount of sugar into a separate bowl. Do not reduce the amount of sugar. If you do, your jam will not set. Set aside. 6. 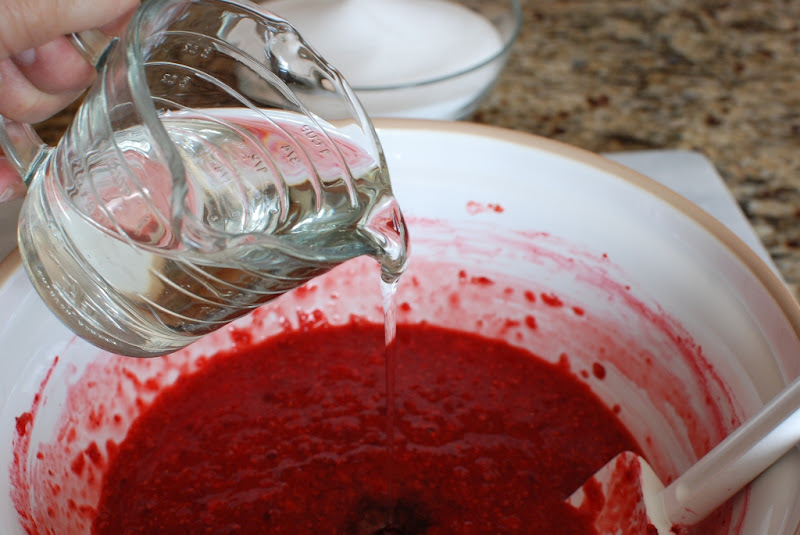 Pour 1 cut light corn syrup into fruit mixture. Mix well. This prevents sugar crystallization during freezer storage. 7. Stir in sugar gradually. 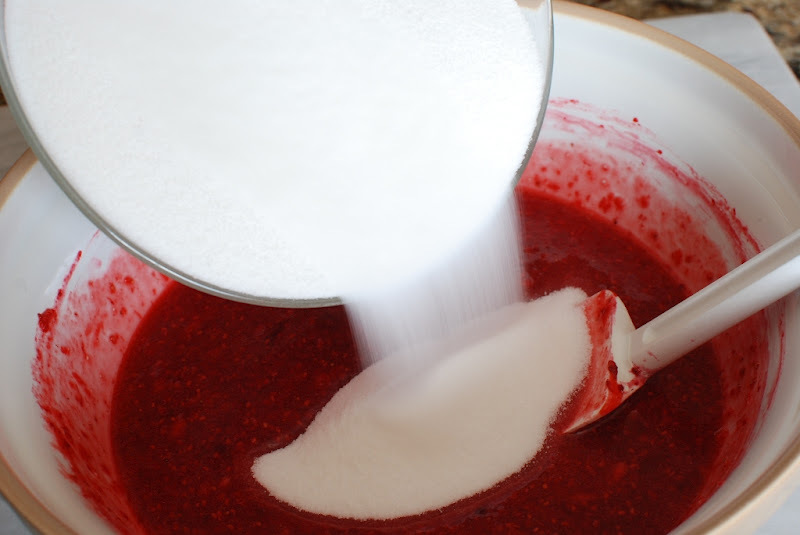 Stir constantly until sugar is completely dissolved and no longer grainy. 8. Pour into prepared containers, leaving 1/2-inch space at top for expansion during freezing; cover. 9. Let stand at room temperature 24 hours until set. Refrigerate up to 3 weeks or freeze for up to one year. Thaw in refrigerator. I have made up to 7 batches at a time. Just line up several bowls to create an assembly line of jam. Works great. Don’t try to double or triple this recipe. Just do one recipe batch per bowl and you will have success and fabulous fresh jam for the fam! 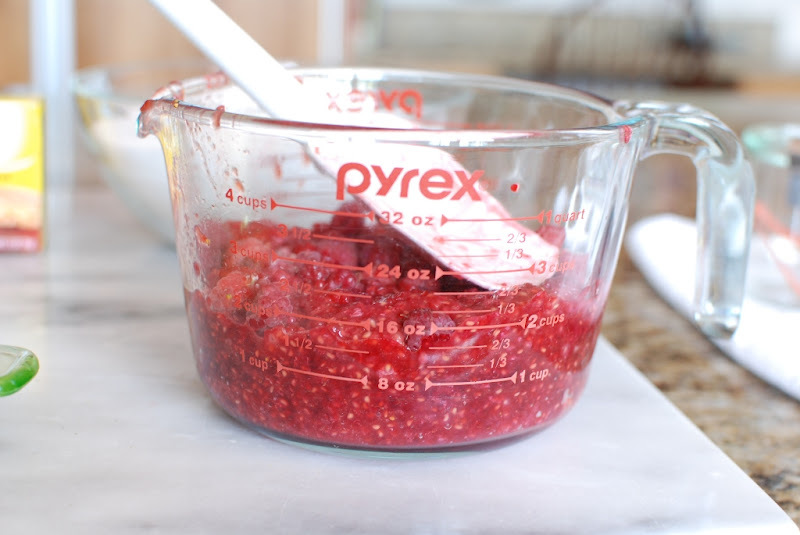 if I want to do just all raspberries, what do you think the measurements would be for total raspberries! my mom and gramma made freezer jam that was the very best and it used all your ingredients, I have found recipes with no lemon juice or no karo syrup, your is it and has both, I just need all raspberry due to a strawberry allergy! thanks so much!! Raspberry jam is amazing. 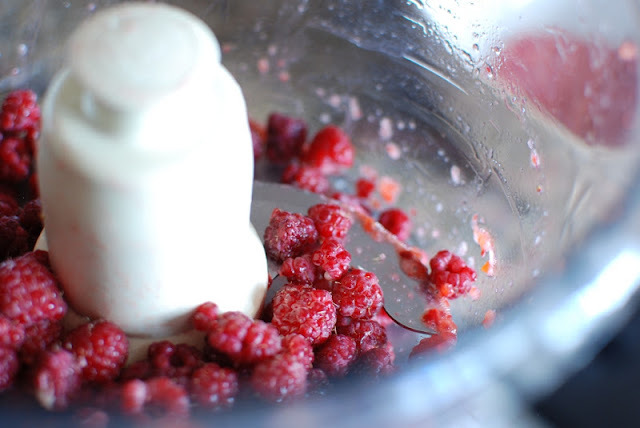 Just use 3 1/4 cup crushed raspberries. You will basically just replace the strawberries with raspberries equally. I hope you love it because it's crazy good. If i just wanted to make strawberry jam can i replace the raspberries with more strawberries? Absolutely. Just replace equal amounts. Fabulous advice. Thank you so much. Can you do this with other fruit? Peaches or apricot? I just bought a book from Williams-Sonoma yesterday called "The Art Of Preserving" because I have been wanting to try to make my own jellies, preserves, etc. The part that scares me is making sure there is no contamination. This recipe makes it sounds easy! So I think I will give this recipe a try! Thanks for posting with perfect timing!! When you are canning and preserving food to be put on a shelf you definitely need to be extremely careful of contamination. This is pretty much fresh fruit mixed with sugar and frozen. Pretty simple. 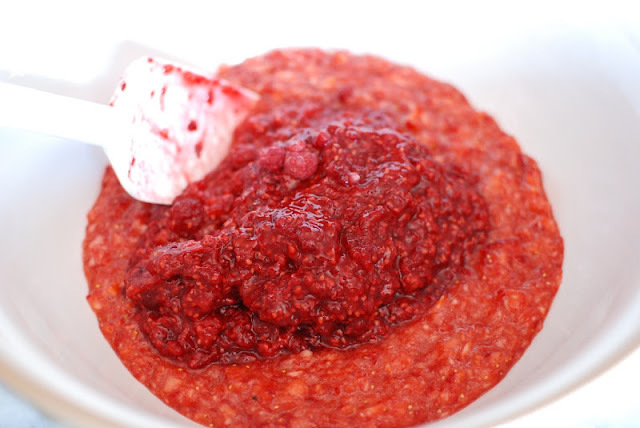 You will be amazed at how fresh tasting the jam is compared to cooked and bottle jam. Good luck. Let me know how it works out. Thanks, Hermann. It's always great to hear from my friend in Germany. Your jam looks fabulous. 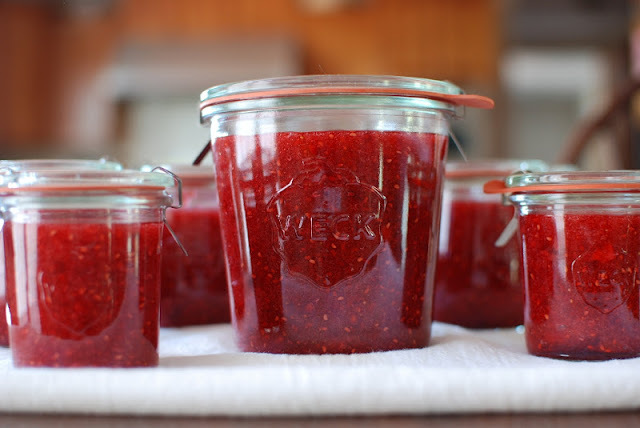 I've always made cooked jam/jelly but with this heat wave in the southeast I can't bear the thought. I'll let you know if I try this out. I hope you love this as much as we do. Please let me know if you try it. Thanks for commenting. Was wondering where you've been. I have missed you! But couldn't have had a better reason. Congratulations! She's adorable! But we want more summer goodies & berry recipes! I was worried that I was using too many berry recipes. I just love using what is in season. Thanks for missing me. My life should be getting back to normal…oh wait I have a daughter getting married in August. I do my best!